Although your kitchen is required to have an automatic fire suppression system in place to extinguish grease fires in your exhaust system, ideally you will never have to use this system. 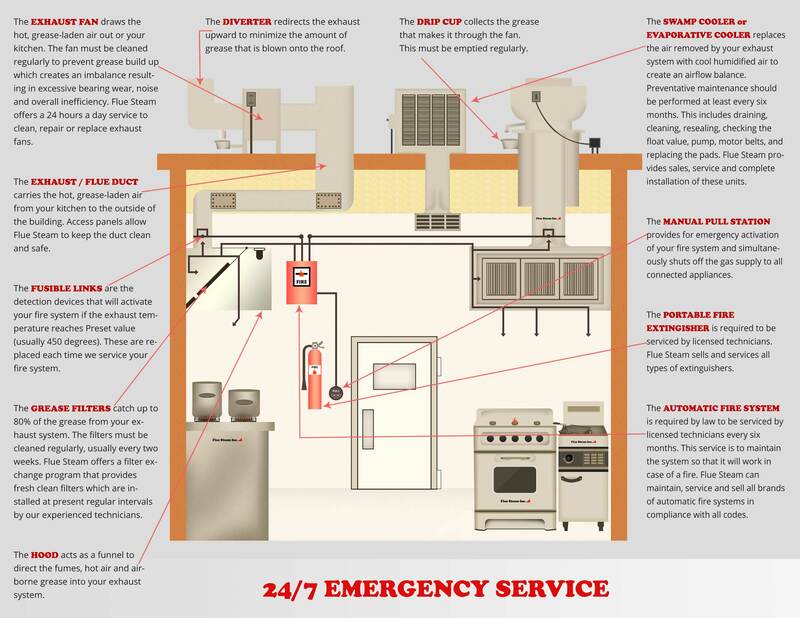 It’s much better to prevent fires from happening in the first place, so that you can avoid costly downtime in your kitchen due to fire-related cleanup. You can greatly reduce your risk of an exhaust system fire by investing in regular kitchen exhaust hood cleaning in Oxnard CA from Flue Steam. Our service is thorough, economical, and helps you remain code-compliant. 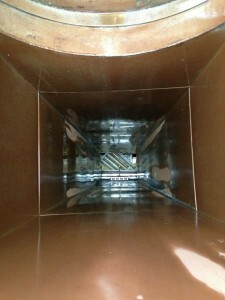 What is Kitchen Exhaust Hood Cleaning in Oxnard CA? Our kitchen exhaust hood cleaning in Oxnard CA consists of a trained technician scraping greasy buildup off of your range hood by hand. Why do you need a trained technician for this service? In order to ensure that grease accumulations are reduced down to the 0.002” thickness deemed safe by the relevant fire safety codes. Some companies will only clean the visible parts of your range hood, but Flue Steam cleans every nook and cranny that we can reach by hand. This ensures that you receive the best possible value and the greatest overall fire hazard reduction benefit from your kitchen exhaust hood cleaning.